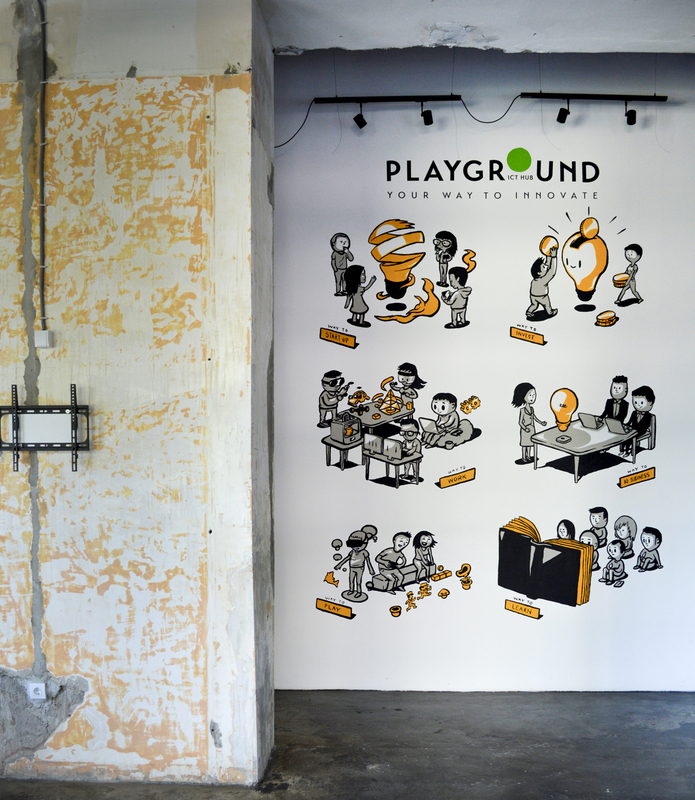 Interior mural in Playground hub in Belgrade. 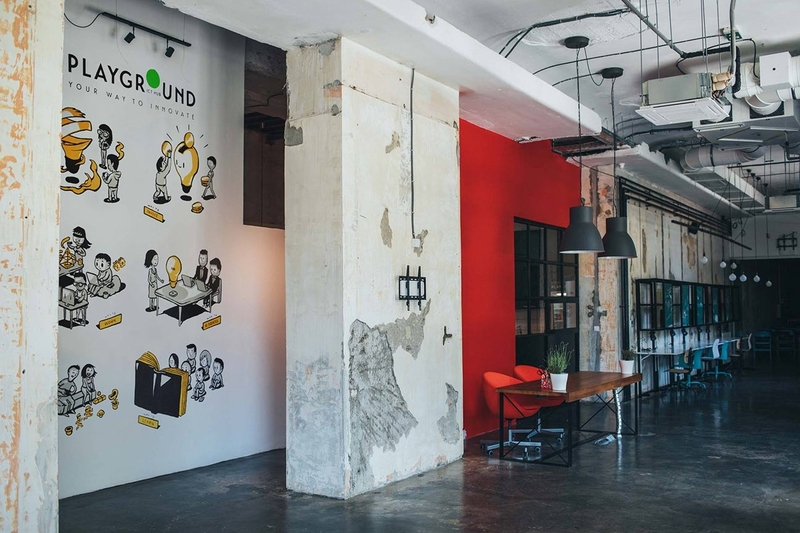 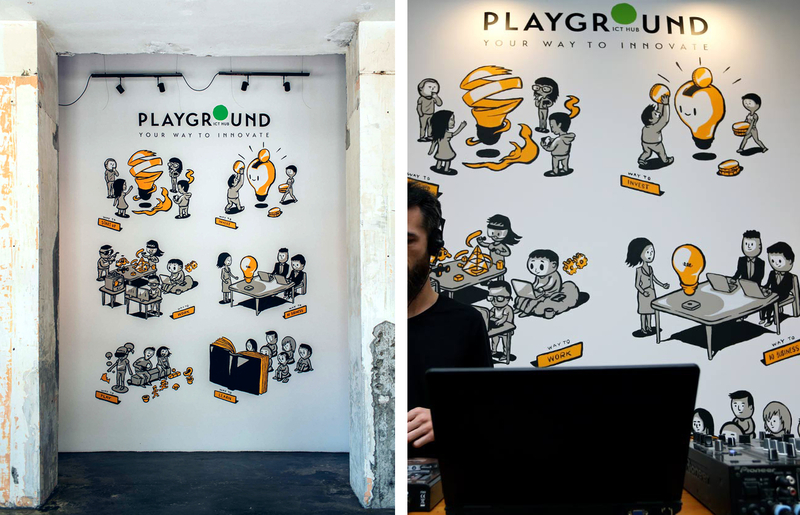 Illustration and office mural at the ICT Hub Playground in Belgrade. 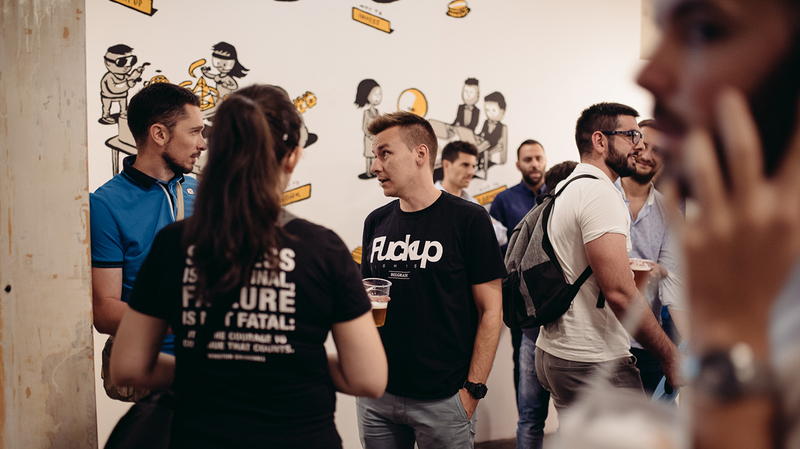 Idea was to develop illustration that would show how it is easy do jump in start up community, develop ideas, find partners and get their idea realized. 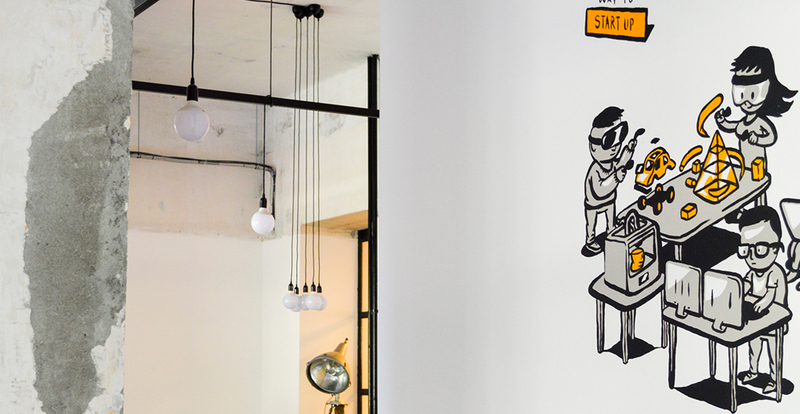 Acrylic paint was used for realization of the mural , with matte finishing, to achieve perfect mural texture with indoor lighting.